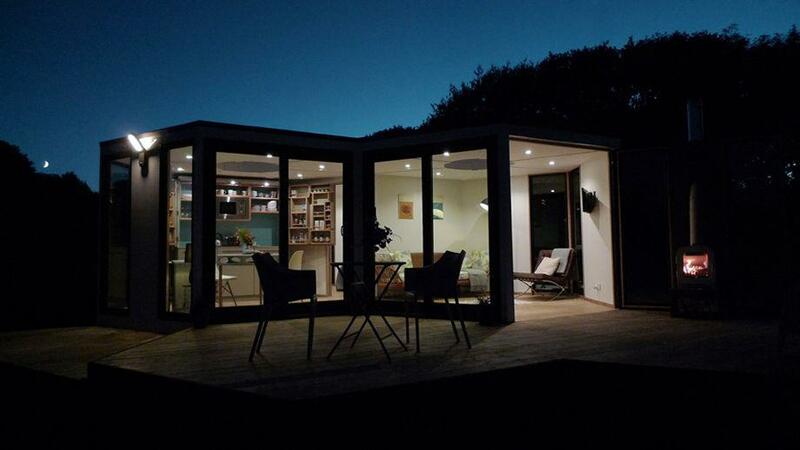 HIVEHAUS by Barry Jackson: Unconventional geometry for affordable modular living. 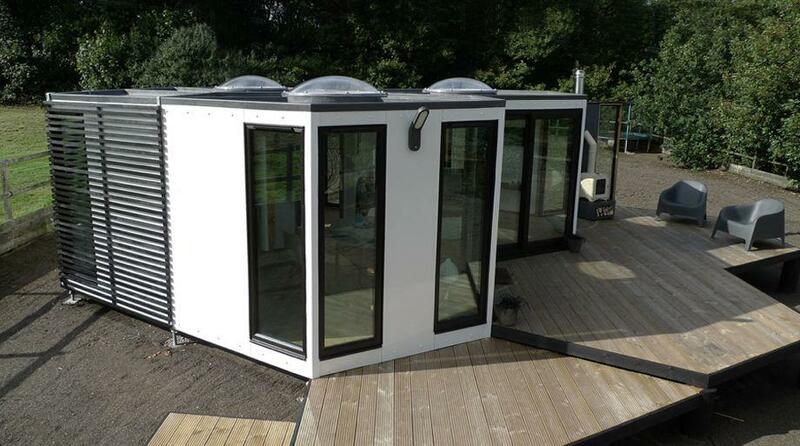 HIVEHAUS is a modular housing unit based on the structure of honeycomb by British designer Barry Jackson. The geometry of a house is an architectural puzzle that can be solved any number of ways. But apart from occasional experiments like the bubble house, most people still live in some version of a box. UK-based designer Barry Jackson has come up with an innovative new concept in housing inspired by the elegant structure of honeycomb. HIVEHAUS is a modular hexagonal living space composed of six-sided self-contained 100-square-foot modules that can be combined in a variety of ways to suit individual needs. The units are transportable by flatpack, easy to assemble with 2-3 people, and stand on adjustable legs to accommodate uneven ground. 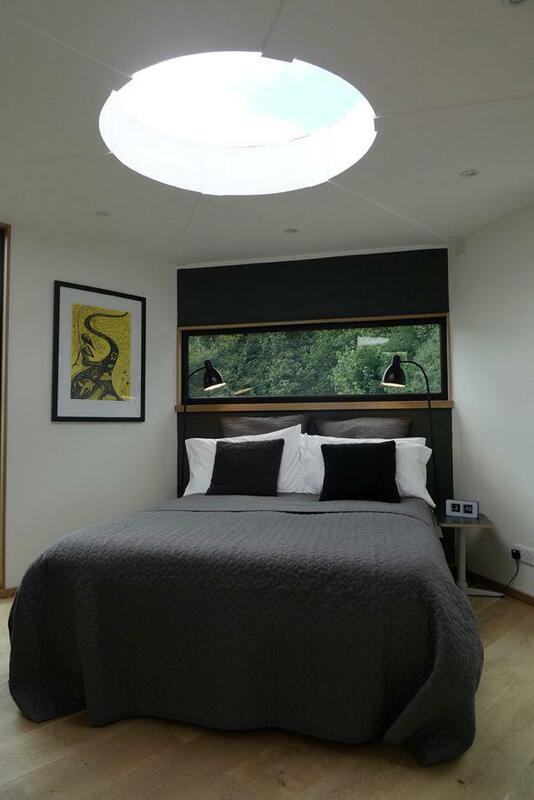 The HIVEHAUS prototype house in Lancashire, UK. The houses are expected to be available for purchase early next year and will be available outside the UK. 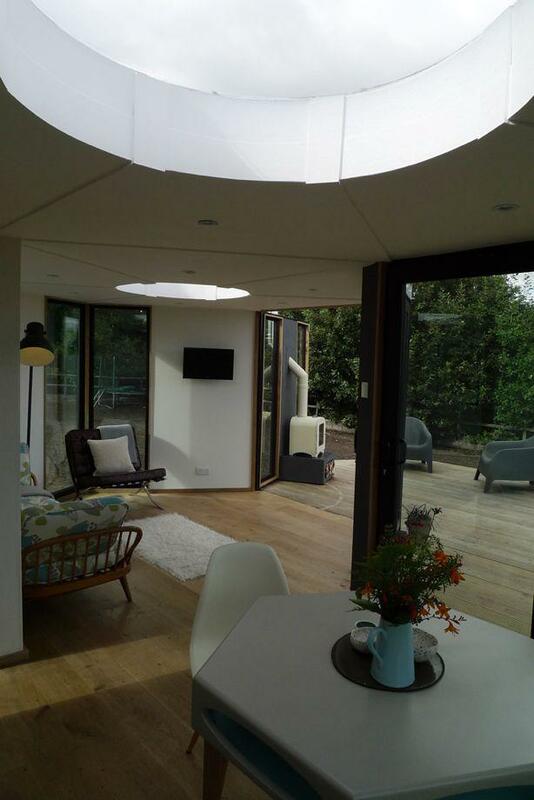 Rounded skylights let in natural light. Starting with a single bedroom cell, the design becomes a hive once you add on a bathroom cell, a kitchen cell or a living room cell. Baby on the way? Just add another module and the hive expands to meet your changing lifestyle. The simple, clever design means that the uniformity of the building components reduce cost while the range of options for configuration and finishes makes each hive unique. 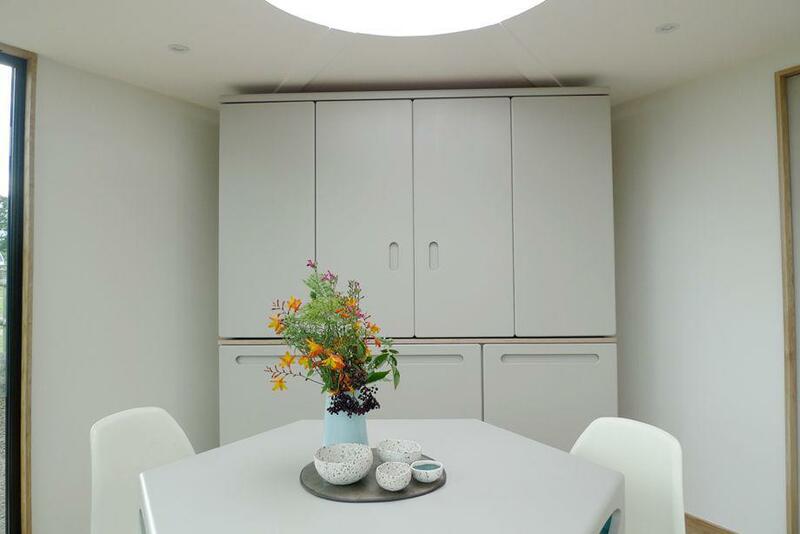 Individual units can be joined to create open-plan living with or without interior partitions that can include pocket doors. 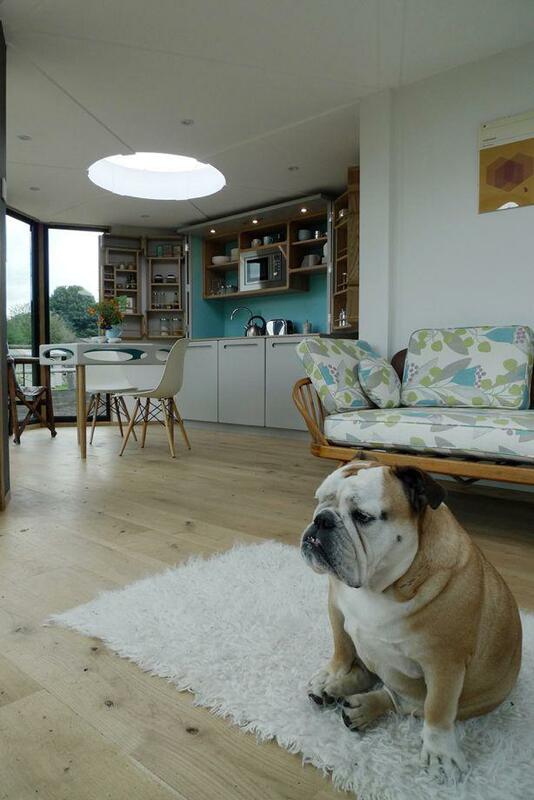 Each module has a circular skylight and includes options like hexagonal decks, various window configurations and interior partition walls with or without pocket doors, plus innovative features like a clever fold-out kitchenette designed in collaboration with Michael Culshaw that smartly conforms to the shape of the room. What’s hiding behind these cabinet doors? A clever space-saving fold-out kitchenette. The units start at around $15,900 but the cost of single cells is reduced as the hive expands, since individual wall units are reused and shared. 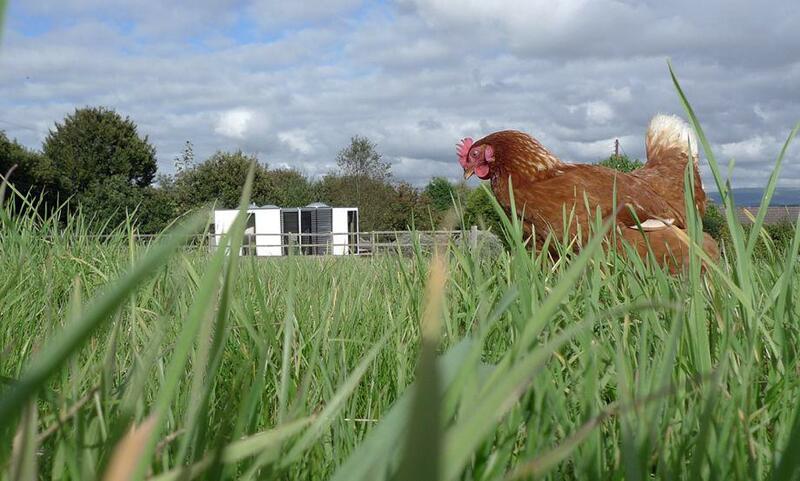 Made from a lightweight steel frame and timber panels, HIVEHAUS can accommodate a range of plumbing, heating and electrical options, from underfloor heating to wood-burning stoves, air conditioning and off-grid options like solar panels, rainwater harvesting and composting toilets. Bird’s eye view of the hexagonal house. 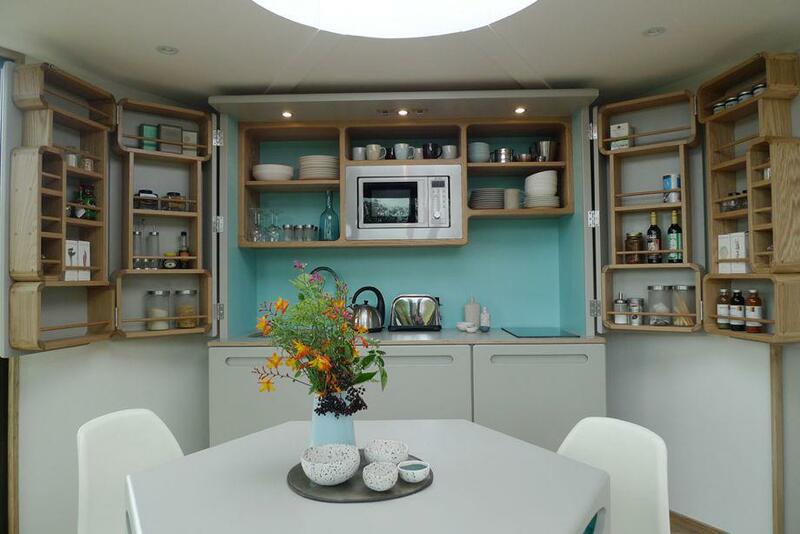 The HIVEHAUS can also be used as a garden shed, a detached home office, gym, yoga studio or guest cottage. And its portable, lightweight flatpack design means it can be adapted for use as a pop up shop or market stall. The idea of a hexagonal house isn’t new, as this video from 1964 demonstrates. But it seems like the affordable hexagonal housing concept might be getting ready to have its 21st-century moment. A prototype for another hexagonal housing concept for affordable temporary housing for displaced victims, Hexi-House, is being developed for release in 2014. And Dezeen recently featured an add-on hexagonal living room on a Tokyo residence.